For the second year in a row, NARA professionals from all seven North American clubs gathered for a summit to discuss the finer points of the game, including coaching, technique, and marking under the leadership of World Champion James Stout. 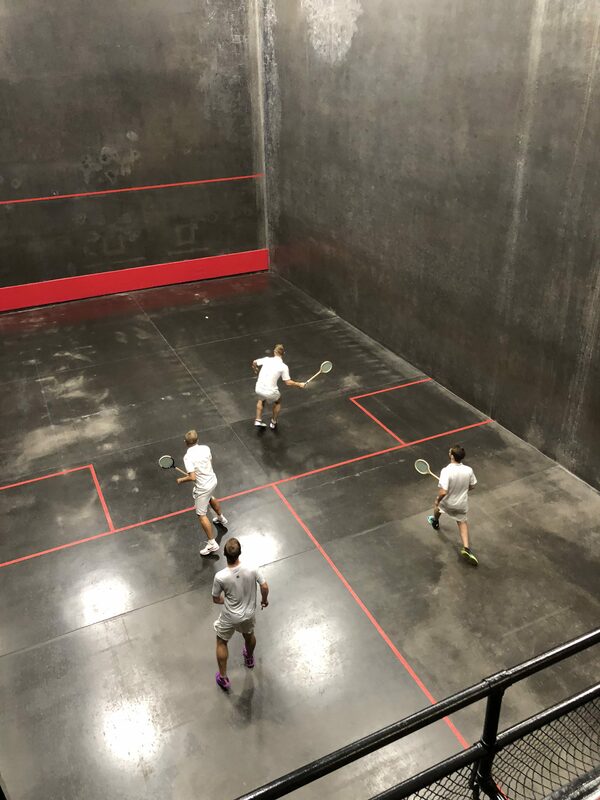 With the superb Racquet Club of Philadelphia playing host to the group on the weekend of September 14-16, 2018, our professionals were asked to submit sample lesson plans, drill schedules, and ideas for general discussion. This in turn allowed James to prepare a loaded but, by all accounts, extremely productive schedule. A particular focus was placed on off-court activities this year, allowing the professionals to share their thoughts on drills and lessons, and to discuss their coaching styles. Additionally, the pros were put through a refereeing test based on a highly contentious British Open Doubles match. Most importantly, it was a fun and learning-filled weekend giving our professionals the chance to implement best practices at their home clubs, something from which all NARA members will benefit. This NARA initiative is extremely important for the development and growth of the game of racquets. We are therefore lucky to be able to count not only on James Stout’s superb leadership, but also on all of the professionals’ willingness to dive in head first and learn. In the words of Chicago’s Conor Medlow: “I truly believe by us improving our professionalism in our coaching techniques it will have a positive effect on NA Rackets.” Spot on, mate! With all of this said, please go support your professionals and book a lesson or two – they now have a few new tricks up their sleeves!